This is news. 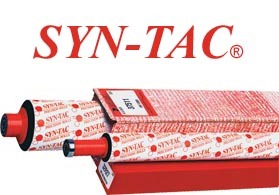 NationalOffsetWarehouse.com is the first and only place you can buy Syntac rollers online. Our high quality Syntac rollers are manufactured by Pamarco Global Graphics and engineered to work flawlessly with your press. •	One unbeatable price, no surcharge, no credits to wait for. 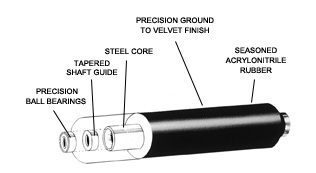 •	Rollers for the most popular models of offset presses in stock for same day shipping. See below for models available. Click on the link below to find the roller for your press. Due to the vast quantity and variety of rollers available, you may not see your exact roller for purchase online. We have access to Pamarco’s entire catalog of rollers. If you can find it in their catalog, you can order it from NationalOffsetWarehouse.com. Simply call 800-669-0654 and order using the roller number from the catalog. You will still receive the same 20% off MSRP on your order. To view the entire catalog, click here. Remember, if you don’t see the roller you are looking for on our website, find the part number in the catalog by clicking here, then call our customer service number at 1-800-669-0654 and order by number. You will still receive our 20% off web price.